Well, the world's come to an end again. Damnit, Todd! I told you to get that cough looked at. Now there's a zombie outbreak and we've got to try and stay alive! Good thing I've got this Survivor's Guide for Outbreak: Undead 2nd Edition. ... Ok, so I don't actually have that book. But I could, since it's up on Kickstarter. So is a new Game Masters Guide. The ENnie-award winning game of surviving the undead is getting a new edition. THE NEXT CHAPTER to the AWARD WINNING Zombie Survival Simulation RPG! 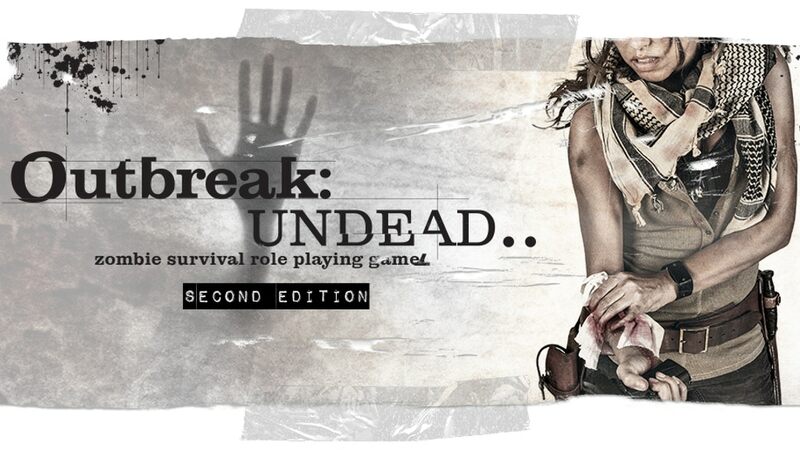 Outbreak: Undead.. is the ENnie award-winning RPG that first premiered at GenCon 2010 as the very first Zombie Survival Simulation RPG. The game debuted to a wide audience gaining popularity with both Role Players as well as the Zombie/Survivalist community, obtaining a 'PLATINUM SELLER' status on DTRPG. OU2E will feature TWO 350 page full-color hardback books - one focused towards Survivors, aptly tilted the SURVIVORS GUIDE. While the second is geared more towards the Gamemaster, also aptly titled the GAME MASTERS GUIDE. These two books layout three levels of realism (rules) that in the end cover EVERYTHING to play the most realistic, survival horror game of your own design (while still in the safety of your own home). We want YOU to be part of the movement to help bring the 2nd Edition Core Rules to print. The Kickstarter campaign is more than 2x funded with still 33 days left to go through stretch goals.